I hope I can get some advice. 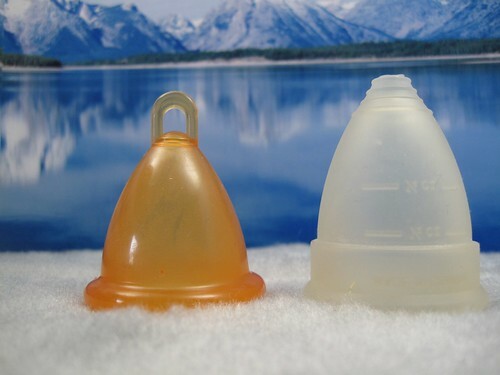 I have bought the Diva Cup- didn't do much on the way of cervix vs. cup stuff- until it's my period and the Diva Cup is horrid to my lady parts. So I googled trouble shooting tips for the Diva and found this amazing community and now I need advice because after going through post after post I have about confused the crap out of myself. I'm 27, 1 vaginal birth, have a very low sitting cervix. Flow is heavy first day and light the rest of the days. I love the cup- I have no issue with width or removal or insertation. The diva cup is waaayy to long- I've cut off the stem and was still way too long. Flipped it inside out- and it was better except it won't stay put at this point and is annoying the hell outta me. I am clenching my pelvic muscles all day long and the minute I relax while it's inside out it's like a slip and slide in there. (Yes the cup is fully open). So do you have any suggestions on which cup would be a better fit for me? I've seen Meluna and all sorts batted around and am weighing in for advice before trying to locate a purchasing site. I was happy with the Diva for a full year before I started experiencing the same "sliding out" issue you reported. I switched to the large Fleurcup and the problem has been solved. Don't be alarmed by the look of the Fleur's stem - it's very flexible and of course can be trimmed if necessary. The more rounded cup of the Fleur is what I think helps it stay where it's supposed to sit. The Fleur stem is more flexible than the diva? The stem was always poking and was very uncomfortable for me on the diva- that's why it had to go. Have you had any issues with the Fluer since you switched? I think it's (the stem) far more flexible than the Diva's. The Diva's is like a little tube, right? The Fleur's is more like a flat solid rectangle sort of thing, and it bends very easily. I haven't needed to trim mine at all, as it just lies quietly along one side of me and bends when I bend, etc. Are you still on your period? If so, check how high your cervix is now because it can get lower when you are on your period, especially in the beginning. Many members here will tell you this is the most important factor when choosing a cup. I also have a low cervix. I have had a Fleur in the past. I did like it except for the grip rings. They do not bother everyone but if you find they do you can always flip it inside out as it stays the same shape or file them down. I now use a Sckoon since my boyfriend's dog ate the Fleur. I think this is my "goldilocks" cup. Both have good capacity. I feel like the Sckoon is squishier. I believe Ruby cup is another round-bottomed cup that is worth looking into. I'm pretty sure when you purchase one they donate one to a teen in a developing country in order for her to be able to attend school during her cycle. I would suggest getting through one more cycle with the Diva. I know it is a pain but you do not want to rush into purchasing another cup that may not work very well for you. Figure out what you like and do not like about the Diva and check out the sizecharts in the meantime. Yes I'm still on my period. My cervix sits very low on my period, it's sitting that way now and it's day 3- light flow territory. By tomorrow my flow will be non existent. I've looked a the size chart for the cups and I like the dimensions of the Fleur and the Skoon. Other than the Diva's length and pointiness when used OTB it's just fine. I like the more rounded shape the diva gets when flipped- but then it doesn't want to stay and still too long. I guess I could give it another shot after this but, it's not what I want to do. Check the various size charts over at the Community FAQ to compare your Diva to the other brands. Also look at side by side photos to compare shapes. Would a blunt based cup stay put better than a pointy one? 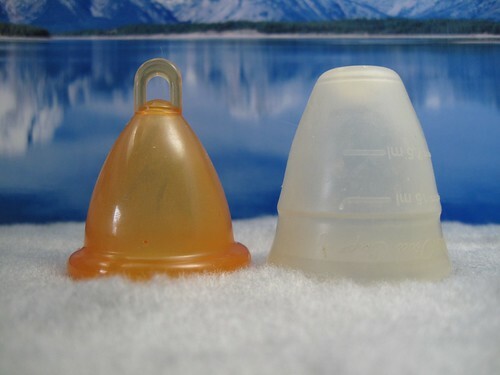 The large Fleurcup has a good reputation as a "Mommy sized/shaped" cup. Would it suit you too? Another that is shaped similarly? There is often childbirth-related prolapse and general abdominal weakening after having had a baby that can be reversed with exercise and by strengthening your core. If you think things are still hanging "too low" inside, then it's worth mentioning to your Doctor next time you go. I will definitely look at the photos to compare some shapes. It's been 9 years since I've had my child, I'm physically back in shape and no prolapse. My GYN says everything is just fine in the lady bits dept. I'm just physically petite and everything is in proportion to that. I have a low cervix and heavy flow for 2 days and the Sckoon size 2 is my go to those days. I tend to wear my Sckoon size 1 on day 1, part of day 2, then switch to my size 2 on night 2 thru day 5. I put the size 1 back in on day 5/6. The Diva just hangs right out of me (Sorry for the visual)! I wear my large Diva inside out on my heavy day, and a medium MeLuna on my lighter days. I love the MeLuna. So much, I bought a large one to replace my inside-out Diva. Is this what the old style M Melunas look like, or is it an M Mini? Very cute.